Mining giant BHP Billiton Limited (ADR) (NYSE:BHP) sent shock waves all over the world when it announced on Wednesday, 20th August, 2014, that it has planned a spin-off worth $14 billion as a step to gear for the future. Reaction to this news has been mixed the world over but its most severe impact so far has been on the share price which catapulted by 4%. 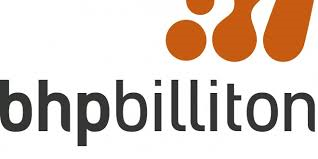 This decision is completely contrary to the consolidation wave that had swept the mining industry and has been explained by BHP Billiton Limited (ADR) (NYSE:BHP) as an effort to dispose of its lesser performing assets so as to be able to focus on its core business. Subsequent to having been reorganized, the new company which is being referred to as NewCo at the moment will concentrate on mining of iron ore, potash, copper, coal and petroleum. It will be primarily listed in Australia, like it is at present with a secondary listing in Johannesburg Stock Exchange, South Africa. Mid-2015 is time when the spin-off is likely to have been completed and specialization then is expected to be aluminum, nickel, silver, coal and manganese. Presently however, the greatest impact has been on the shares and in addition to the fall, investors have also been disappointed on the account of having been denied a buy-back. On being questioned about the outlook, Mark Taylor of Morningstar said that it while shareholders across the globe are largely disappointed, playing the waiting game would be most appropriate. According to him, it is the conservative investor who will have taken the news the hardest but all is not lost and BHP Billiton Limited (ADR) (NYSE:BHP) still has a lot to offer unless you are a short-term investor.